It is crucial to characterize self-regulation in children. We compared the temperamental profiles of children with the Child Behavior Checklist (CBCL) Dysregulation Profile (CBCL-DP) to profiles associated with other CBCL-derived syndromes. 382 children (204 boys; aged 5–18) from a large family study were examined. Temperamental profiles were based on the Juvenile Temperament and Character Inventory. 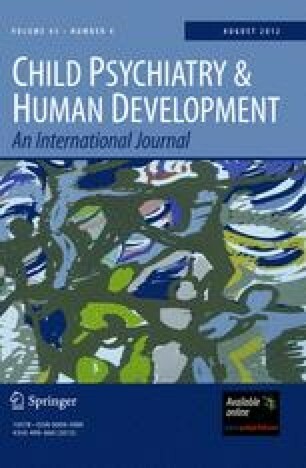 Children with the CBCL-DP had a temperamental profile characterized by high Novelty Seeking, high Harm Avoidance, low Reward Dependence and low Persistence. Linear mixed models and regression-based models demonstrated that the CBCL-DP was associated with a “disengaged” temperamental profile. This profile is similar to the profile seen in adult disorders of self-regulation, including cluster B personality disorders. These results support the hypothesis that the CBCL-DP measures poor self-regulation.